The flagpole being removed on Thursday after permission for the flag-raising was denied. 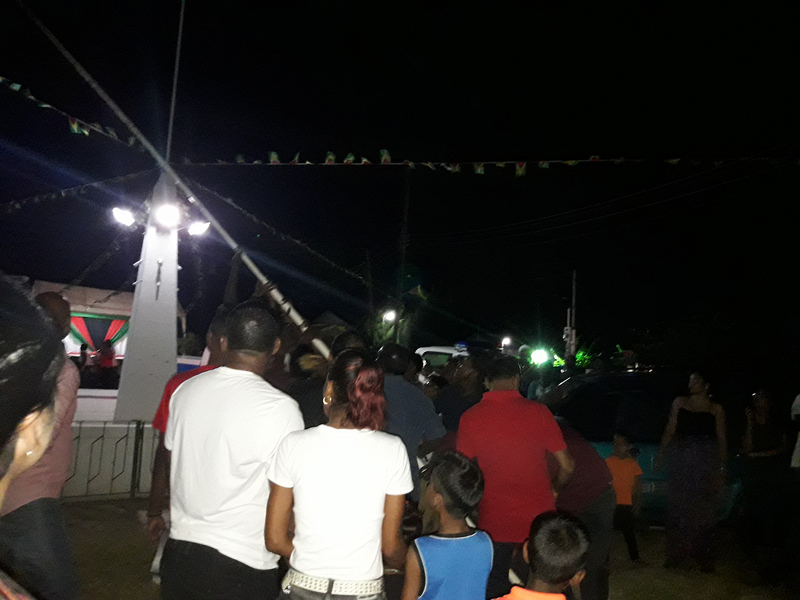 While he is saddened at the blocking of the Corriverton flag-raising ceremony by the police last Thursday evening, Minister of Communities Ronald Bulkan has rebuked town councillors there for what he said was their yielding to political pressure from the People’s Progressive Party (PPP) instead of upholding protocols and conventions. The police are yet to make an official statement on why they stopped the Region 6 republic anniversary flag-raising event, but Corriverton Mayor Krishnand Jaichand believes it was because the town council objected to Minister of Public Security, Khemraj Ramjattan as the featured speaker. The police, the mayor said, told him that the event was stopped because requisite law enforcement permits were not applied for by the council. Bulkan told Stabroek News yesterday that he had spoken with Jaichand prior to the scheduled flag-raising who told him that while government had proposed that Ramjattan be the featured speaker at the event, his councillors had objected and instead wanted PPP/C parliamentarian, Adrian Anamayah to be the keynote speaker. Anamayah is from the said region. “It is sad, because I read and you are aware as I am what happened. I did speak with him. I was told by Mayor Jaichand that the council did not want Minister Ramjattan and they made plans for MP Anamayah,” Bulkan said. “Prudence should dictate that the council should show respect and allow the minister to speak last, in the end it seemed that this did not happen and things took a turn the way it did. Protocol and convention is that the minister should be the last speaker. He said that he is with me but the council made the decision and he would try to get them but I do not believe that,” he added. The Corriverton Mayor relayed on Thursday that some four days before the event, Region Six Regional Executive Officer, Kim Stephens contacted him and insisted that Minister Ramjattan would be present and “he should be the guest speaker”. Jaichand added, that Bulkan also contacted him and spoke with him in a very professional manner asking for him to “reach back the council and persuade them” to allow Ramjattan to speak last. However, according to Jaichand, the council decided that they would stick with the programme and welcome Ramjattan to share greetings but he would speak “second to last”. Jaichand said subsequently Minister of Social Protection Amna Ally phoned him to indicate that “this was a government thing”. 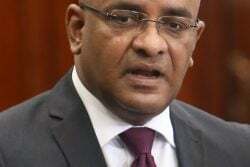 He added that the minister said she was responsible “to let the ministers in the various regions … speak and she had allocated Minister Ramjattan to speak at Corriverton”. Jaichand said that Ally in a harsh tone demanded that Ramjattan be the featured speaker. “I called her back in twenty minutes after I spoke with the council and told her that their (the council’s) decision remains the same”. He said, “Her words to me were then, she have already called the commander instructing him for tonight’s programme to not materialize”. 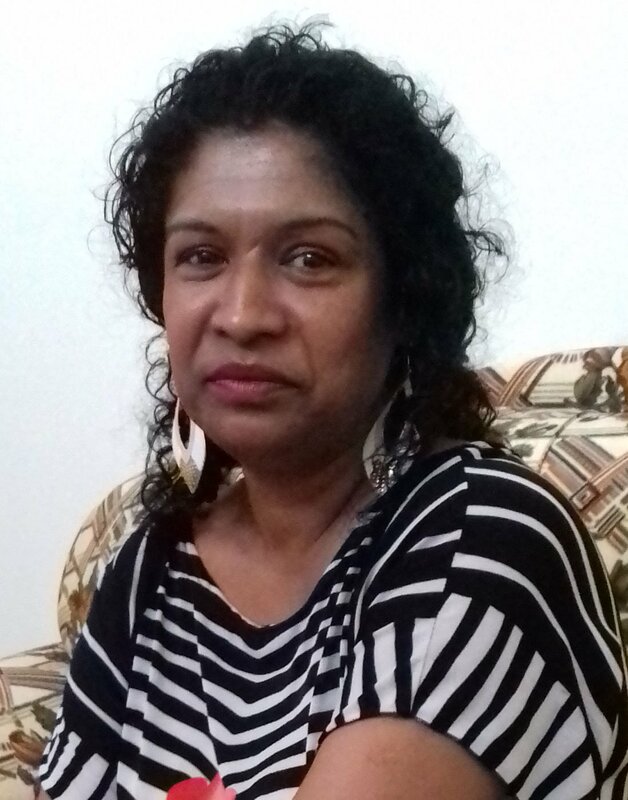 Stabroek News contacted Ally yesterday who expressed disappointment that she was not allowed to give her version of events before the story was published on Friday. She said that such a controversial story required the comments of all parties and since she was not allowed then she would not now. 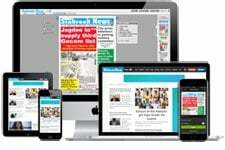 “Stabroek News could have called me…they did not then and so I have nothing to say now,” Ally stated. Bulkan said that he believes that the councillors were given a directive from leader of the opposition People’s Progressive Party that Ramjattan not be the keynote speaker and if present should only give brief remarks. He said that he could not see the rationale behind the council holding the stubborn view that a Member of Parliament be the keynote speaker at a national event where there would be a minister of government present, moreso a vice president. “I think it was external and I think they were not allowed to make their own judgement and decision and they were directed from different quarters. It was one that was imposed about them. Why fight the central government? Why so want to speak last when it is not in keeping with conventions and protocols?” he questioned. “Their action is keeping with the actions of the PPP where they do not want their council to act as an autonomous body. They show they are wedded to a centralist mindset…”, he added. Meanwhile, the Corriverton Town Council is expected to meet today to discuss the way forward. Mayor Jaichand told Stabroek News yesterday that the council will meet to discuss “what actions need to be taken”. 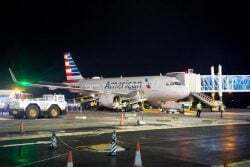 The mayor further stressed that these are questions that need to be considered in order to properly understand the situation that unfolded on Thursday evening at Republic Square. 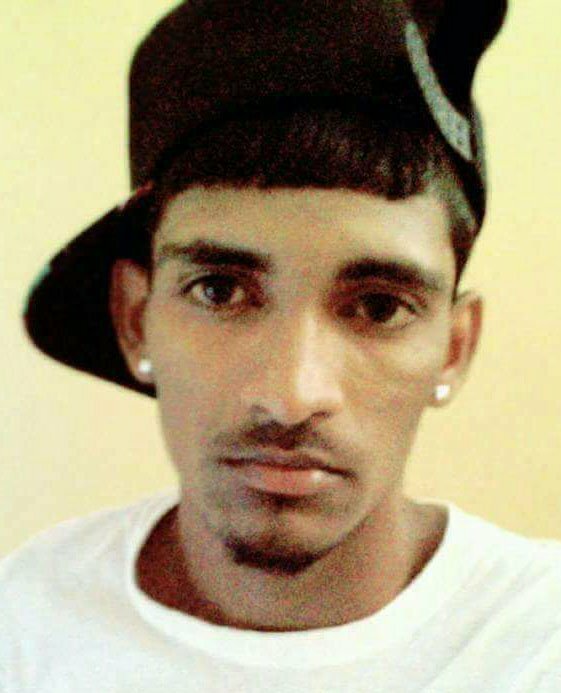 Ramjattan didn’t make the trip to Corriverton but attended the main observance at D’Urban Park on Thursday. 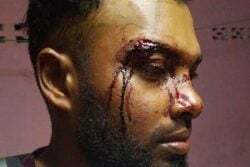 Jaichand had said that the police’s action on Thursday evening was a first for Corriverton. The police action included the forcible removal of the chairperson of the flag-raising programme from the stage. The residents who had gathered were incensed. 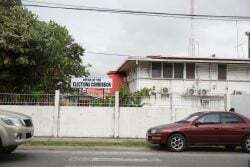 When Stabroek News sought to clarify from whom the instructions came to stop the flag-raising programme, Commander of B Division, Lyndon Alves, said yesterday that ranks do not need instructions from him to act when the law is being infringed upon. 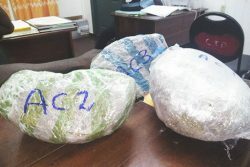 Stabroek News also questioned Alves as to whether the police’s record showed that permission for a programme was sought in previous years, however, Alves said there is no need to look back at the records as he is “acting on the law”. Meanwhile, Stabroek News contacted former Mayor of Corriverton, Roy Baijnauth, 78, who served as mayor from 1994- 2012. He stated that during his tenure permission was never sought from the police to host the town’s flag-raising ceremonies. He also noted that the police would always be invited to march and be a part of the planned activities. Ganesh Gangadin, who served as Mayor of Corriverton from 2016 – 2017 also said, that no permission was sought to host the two flag-raising ceremonies which were held under his leadership. It was Gangadin who was escorted off the stage by police on Thursday evening. 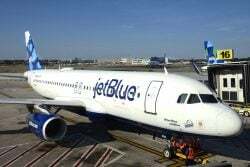 Meanwhile, a flag-raising ceremony was also held in New Amsterdam on the State House lawns on Thursday evening which saw no interference from any lawmen. In attendance at the New Amsterdam flag-raising ceremony was Minister of Education, Nicolette Henry, Region Six Chairman, David Armogan, Mayor of New Amsterdam, Winifred Haywood and other top officials including Commander Alves. 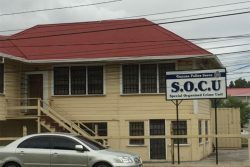 Haywood, when contacted yesterday by Stabroek News explained that the police were “informed” of the programme, adding that the police would always be a part of the town’s programme. 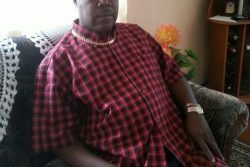 Armogan giving his take on the events that unfolded on Thursday evening expressed his disapproval of the police’s and government’s intervention in stopping the Corriverton town council’s programme. He stressed that the town council has a right to decide who should speak at the ceremony. Armogan said, “It was uncalled for to intervene and stop it, and it smacks at the very essence of democracy and freedom”. He further opined, that whomever the instructions came from to stop the council’s programme should offer an apology immediately. “Whoever gave the instructions should be condemned”. He also noted that to his knowledge permission has never been sought from the police to host New Amsterdam’s flag-raising ceremonies. He said, “The police, fire service, in fact the entire joint services was a part of the programme”, the Region Six chairman said. “We have never had to write the police for permission, this was the precedent set in the past, why you have to apply for permission now?” he questioned. He stressed that it is important for the matter to be dealt with so as to be certain that the same does not happen in the future or in other townships as well. Armogan also said that persons need to understand that Minister Ramjattan was not being prevented from speaking at the ceremony but that “greetings from both political parties were welcomed…It always happens, you have a cultural programme, greetings from the political parties and then the flag is hoisted, no one was preventing him from speaking”. Police on Thursday showed up at Republic Square, Corriverton in several groups checking out the location. 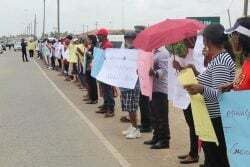 Around 4 pm, the police instructed the persons responsible for the music to not play, which they complied with. According to reports, the police seized the Guyana flag in order to block the programme from going on. The inspector at the scene around minutes to 8 pm then told those gathered that they would be allowed to raise the flag. Officials then decided to go ahead with the planned programme. The national pledge was said and followed by prayers. However, when the chairperson, Gangadin called on a child to recite a poem as planned on the programme, the lead inspector began to advance towards the stage and he said they were not allowed to do anything else. After about five minutes, Gangadin asked for the mayor to address the people of his town and then the flag would be raised. The police rejected this and moved Gangadin from the stage. The crowd then erupted in screams declaring that they would all head to the station in support of Gangadin. The police then told them they could raise the flag. However, at that point the gathering was incensed at the interference with the programme and decided against this. Over 40 cultural items were planned for the programme but the participants who prepared for weeks were all denied the right to perform by the lawmen gathered.